The Environmental Protection Agency (EPA) has funds to stay open during the partial shutdown through Friday while many other agencies close their doors, according to Acting Administrator Andrew Wheeler. Officials “determined that EPA has sufficient carryover funds to operate for a limited period of time,” reads a Dec. 21 email Wheeler sent to EPA employees obtained by The Daily Caller News Foundation. Likewise, EPA regional offices will be open as well. The Trump administration will also keep areas of national parks open during the government shutdown, which started Friday after Congress failed to pass funding for a border wall. The EPA has sufficient carryover funds to operate for a limited period of time and will remain open the week of December 24, 2018. If you need assistance in Region 8 (CO, MT, ND, SD, UT, WY), contact our Environmental Information Service Center at 303-312-6312 or 8eisc@epa.gov. EPA employees also worked through the short-lived government shutdown in January. It’s unclear how long the current government shutdown will last. President Donald Trump said the government would remain closed until congressional Democrats agreed to fund a U.S.-Mexico border wall. EPA put a government shutdown plan in place during mid-December, which requires the agency to see if it has the funds to stay open. Otherwise, the roughly 13,700 agency employees not necessary to, for example, respond to emergencies or protect life and property will go home. “This number represents the agency employees who could continue to work in the event of a government shutdown if sufficient resources are available,” reads EPA’s contingency plan. That’s similar to the 2013 government shutdown when the Obama administration classified more than 98 percent of its employees as non-essential. The 2013 shutdown last 16 days. 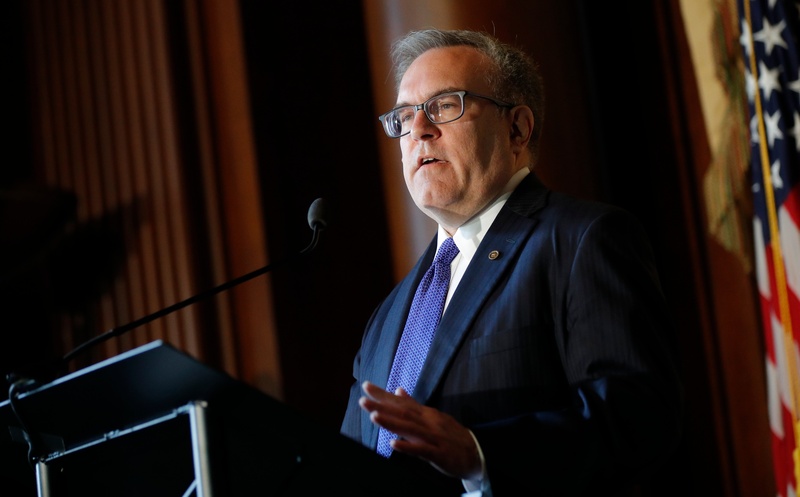 “Thank you for your hard work, dedication, and patience through this process, and for all that you do for the EPA and the American people,” Wheeler wrote.